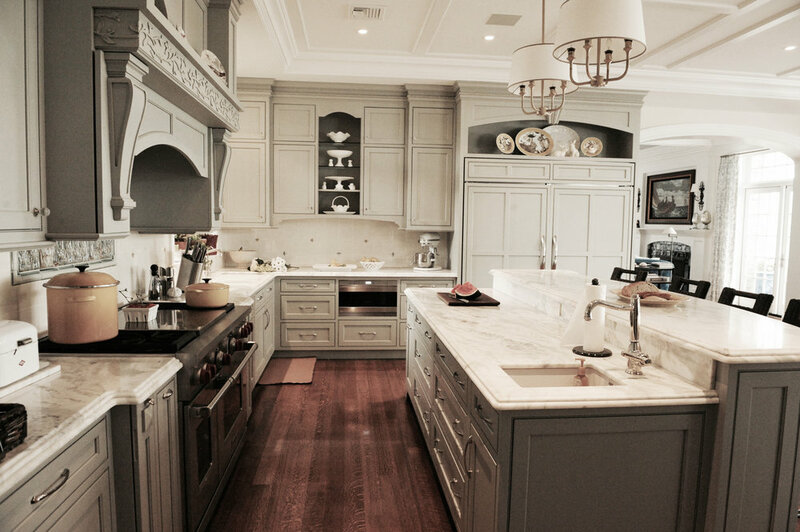 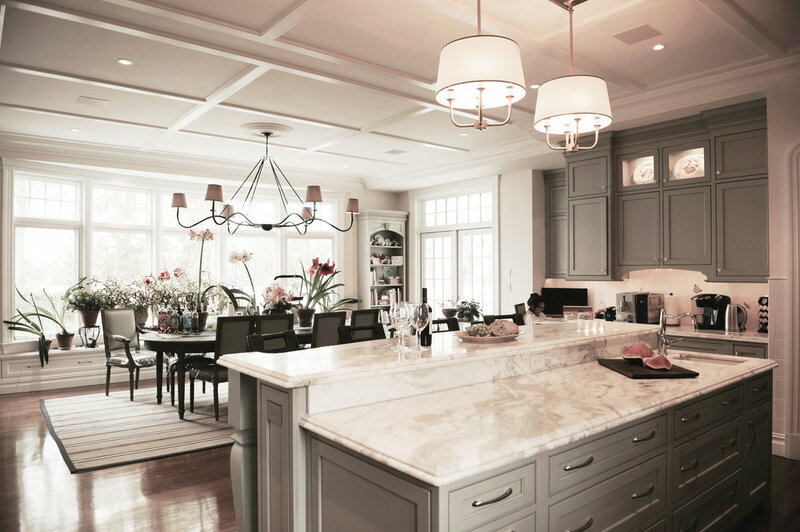 This spectacular country-style kitchen is warm and alluring, while maintaining a clean and refined look. 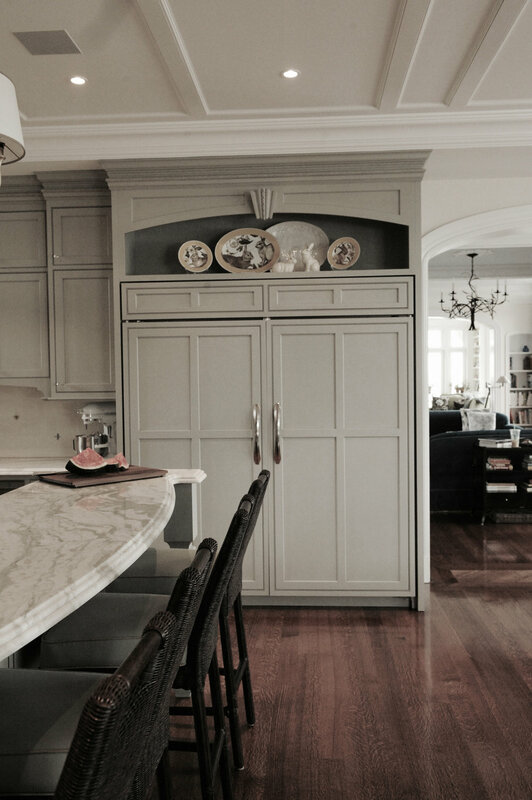 The cabinetry is a unique tea-green color by Plain & Fancy, and is accented with genuine crystal knobs. 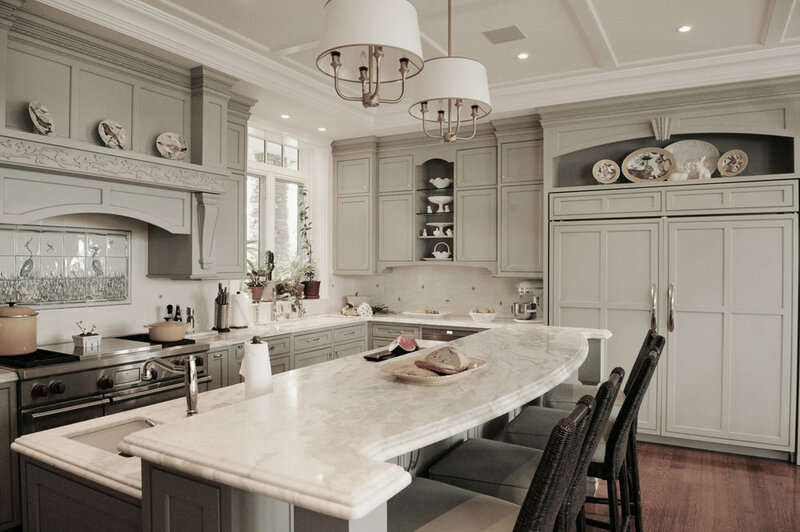 Smooth stone accentuates the counter tops, while bold wooden furniture adds a lovely contrast. 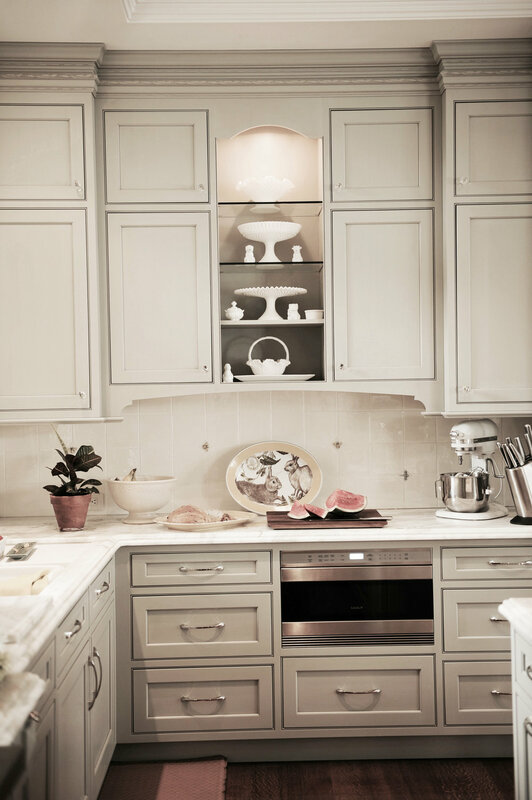 Custom bar, bookcase, and coffee/tea station help to personalize the space, catering to our client's specific needs.